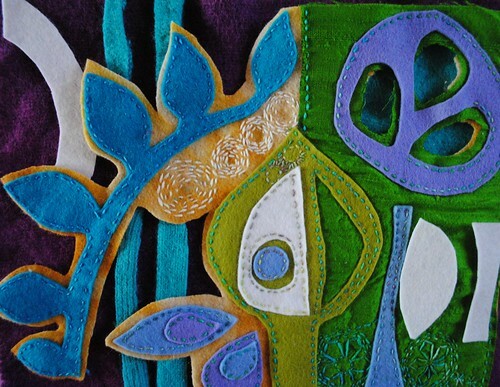 An introduction to the beautiful art of applique design. We will cover basic stitching (with hand-dyed threads) and applique techniques using wool, silk, cotton, and linen. Apply the techniques and create a project of your own design, such as a bag, wall hanging, pillow, or anything else you envision. Applique and embroidery are techniques used around the world to adorn everyday items, tell stories, and celebrate the re-use of worn textiles. Bring your imagination and see how this traditional technique can be used to create vibrant and original contemporary designs! to register, or for more info, email Linda at lifeisart4@gmail.com. Registration open through April 30th limit 8 per session, will open second session if necessary.